The SRX110 Services Gateway provides next-generation, enterprise-class security and networking for today’s small businesses and branch offices. Consolidating security, routing, switching, and WAN connectivity in a small desktop device, SRX110 supports up to 700 Mbps firewall and 65 Mbps IPsec VPN in a single, consolidated, cost-effective networking and security platform. 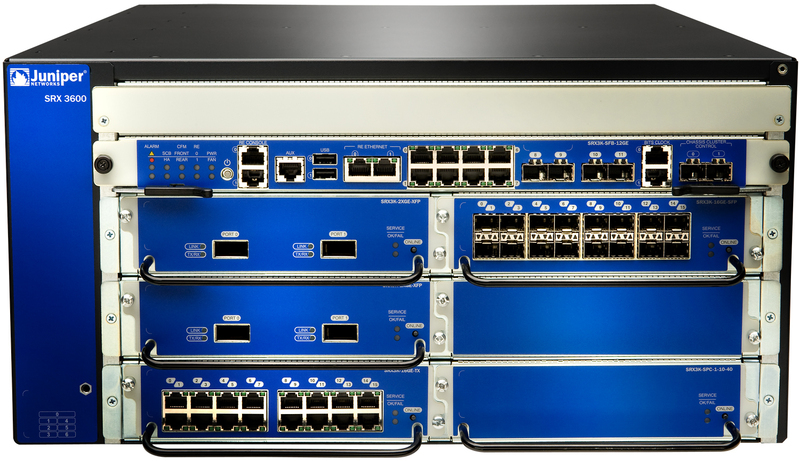 SRX Series firewalls also feature a built-in, very-high-bit-rate digital subscriber line/asymmetric digital subscriber line (VDSL/ADSL2)+ WAN interface, 3G/4G wireless capabilities, and an 8-port Fast Ethernet switch. The SRX3400 Services Gateway is ideally suited for medium to large enterprise, public sector, and service provider networks. It secures and segments data center network infrastructures, aggregates advanced security services, and enforces unique per-zone security policies in small to midsize server farms and hosting sites. 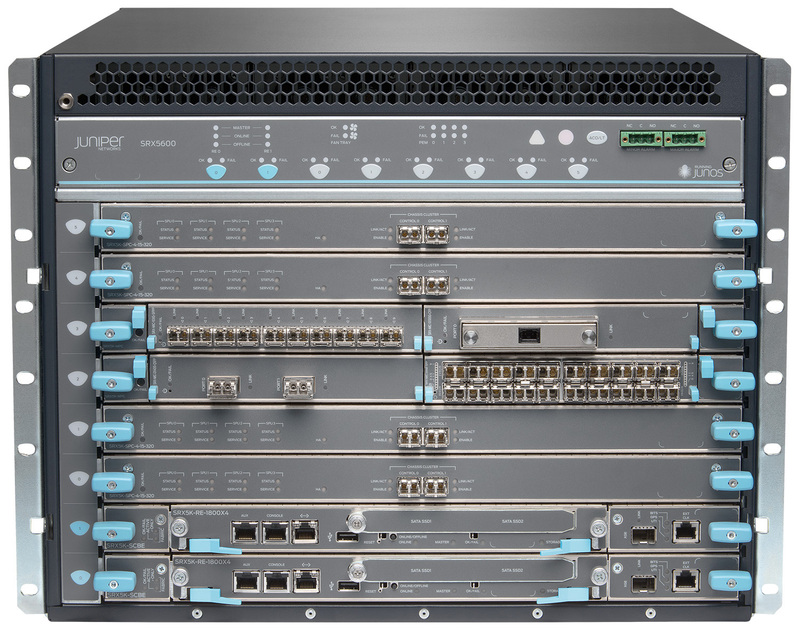 The SRX3400 is a next-generation security platform that delivers market-leading performance, scalability, and service integration in a midsize 3 U form factor. 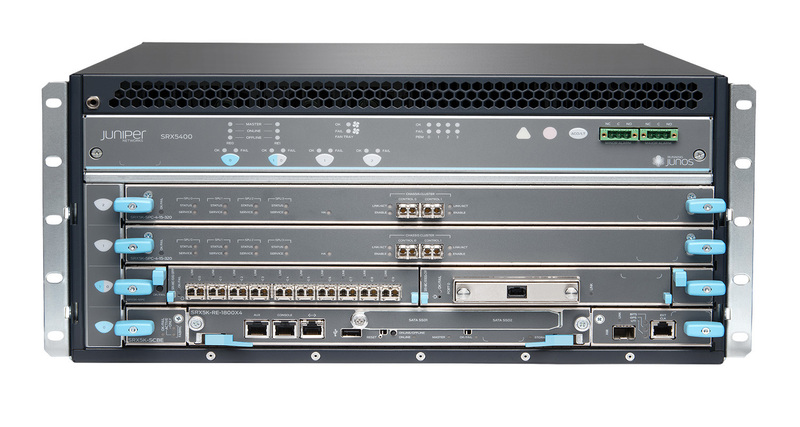 It supports up to 30 Gbps firewall, 8 Gbps firewall and IPS, or 8 Gbps of IPsec VPN, and up to 175,000 new connections per second.